A synergist for many classes of insecticides, PBO-8® Synergist works by blocking production of mixed-function oxidase enzymes, which insects use to metabolize the insecticide’s active ingredients. 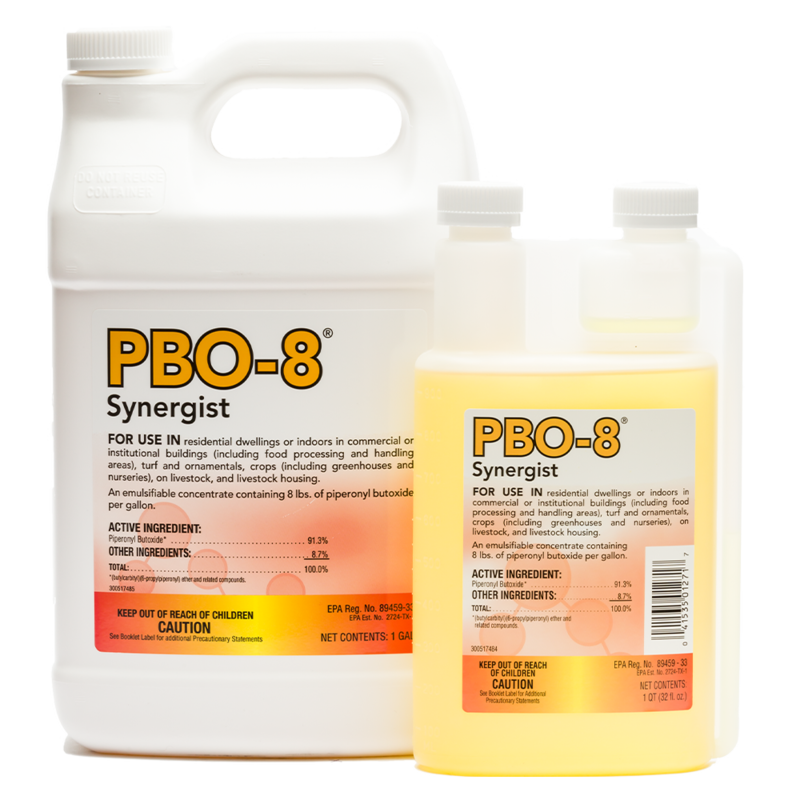 By blocking the action of these enzymes, PBO-8® Synergist improves the efficacy of the insecticide. Use it as the perfect tank-mix partner with Diacon® IGR and Centynal™ EC Insecticide or Diacon® IGR PLUS.